Rick Nickerson, was just 7 years old and in Lynn Tweedie’s second grade classroom when Houlton Elementary School opened in 1972. HOULTON, Maine — Rick Nickerson, was just 7 years old and in Lynn Tweedie’s second grade classroom when Houlton Elementary School opened in 1972. A lot has changed since that time. Gone is the open school concept, replaced with classrooms with walls, doors and windows. Larry Hutchinson was the music teacher at the time. Nickerson took piano lessons from the late Pat Flemington and had vocal lessons from the late Gladys Tarbell. He was active in the Houlton High school musicals with director, Mark Scally. From Houlton, Nickerson, son of Ted and the late Jan Nickerson, went on to the University of Maine to receive a bachelor’s degree in vocal music education, followed by a Masters of music in choral conducting. He later received the Doctor of Musical Arts degree in choral conducting from the Conservatory of Music at the University of Missouri-Kansas City. Nickerson has been the director of choral activities at Windham High School in Windham for the past 31 years. In addition to his duties there, he is minister of music at North Windham Union Church. 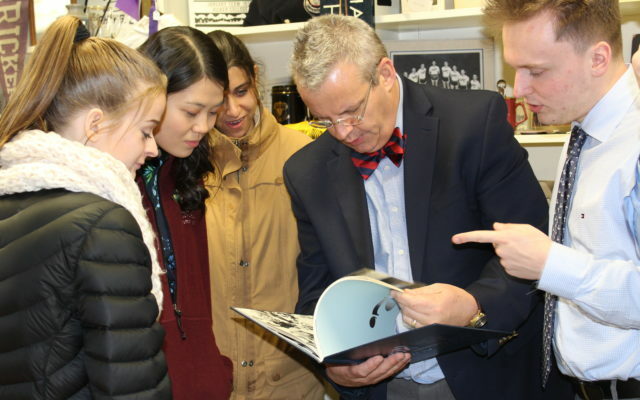 In constant demand as a guest conductor and clinician, he has made guest appearances in 18 states, four Canadian provinces and eight European countries. He has conducted in major concert venues throughout the world, making his Carnegie Hall debut in 1998. He returned to Carnegie Hall in 2016 to conduct a festival choir made up of singers from Maine. Nickerson has received several awards including: Maine Music Educator of the Year, Maine Distinguished Choral Director of the year and runner up for the Maine Teacher of the year. In January 2009, he was recognized by Choral Director Magazine as one of the ten “Choral Director of Note” in the United States. In 2017, he was named as a top ten finalist for the Music Educator Grammy Award. As director of the Windham Chamber Singers he gained international attention in 1996 by winning the Prize of Vienna at the 25th International Youth and Music Festival in Vienna, Austria. Since then they have captured the hearts of audiences everywhere. Their accomplishments have been recognized on the NBC nightly news and National Public Radio. They have appeared on CBS This Morning and the Today Show. They have performed at Carnegie Hall, St. Patrick’s Cathedral, Notre Dame Basilica and the White House. 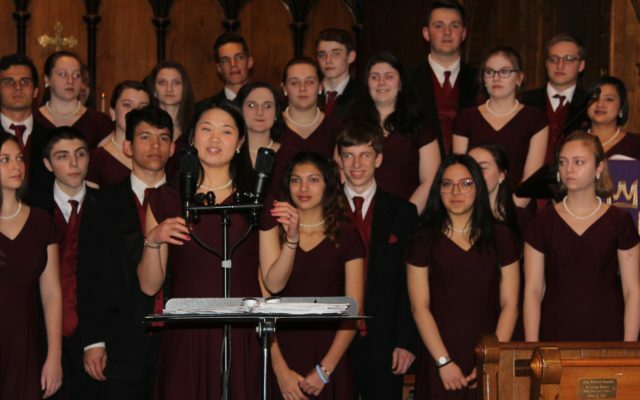 The Chamber Singers have appeared in concert with John Rutter, Josh Groban, Jodi Benson, Noel Paul Stookey, Sutton Foster, Norm Lewis, Lindsay Mendez, Mandy Gonzales and the Celtic Tenors. In October, 2016 they collaborated with Sean Slaughter and Master Stroke in a tribute concert to the iconic band, Queen. The choir has released five CDs on the Pine Point label and have appeared on numerous other recordings. Each year the choir tours the northeast, presenting assemblies and workshops in area schools in addition to public concerts. 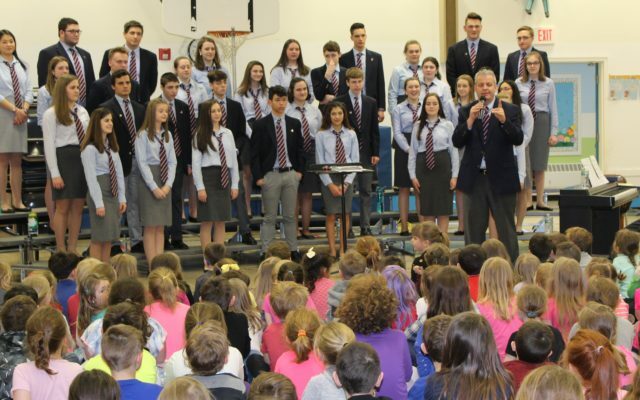 Nickerson returned to the elementary school on April 5, bringing the cast of 34 Windham Chamber Singers to perform for the school and to experience a trip to the County. He was excited to be back in his hometown and to share childhood stories with his students. That evening they performed at the Church of the Good Shepherd on Main Street. Fred Grant, owner of the local radio station WHOU live streamed the concert, which was very much appreciated by Nickerson and his choral members. Each day before Nickerson begins his school day he listens to the morning show with Chris Putnam. “To have the ability to watch the basketball games and other events happening in the Shiretown is much appreciated by folks that live away,” said Nickerson. For several members of the choir, it meant that family members could see their performance. One dad was out on a ship, while a foreign exchange student’s family was watching from Italy. This year the tour also included Green Street United Methodist Church in Augusta, the State House, University of Maine, St.John’s Episcopal Church in Bangor, Stearns High School, Madigan Estates and Grant Methodist Church in Presque Isle. 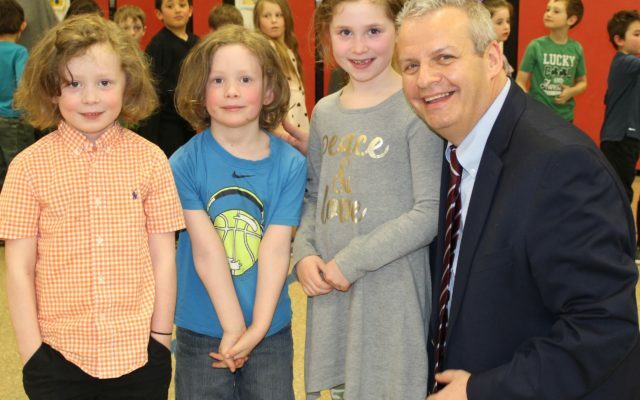 More than 300 students enjoyed the concert at Houlton Elementary School where Nickerson visited with the Thornton siblings, Cash, Waylon and Georgia whose grandmother attends Nickerson’s church in Windham. While in the area they also toured the Southern Aroostook Agricultural Museum in Littleton. Also of particular note is one of the Chamber members, Annika Johnston is the granddaughter of Rae Johnston of Littleton and daughter of Steve Johnston, formerly of the area. For more information, visit www.windhamchambersingers.com.